While you're walking or driving in the Park - have you noticed some fields with small, yellow, seemingly-wild flowers? We're leaving them to grow for a while on purpose so the bees have a place to bee (get it, get it?). Click here to learn about 5 ways you can help the bees! 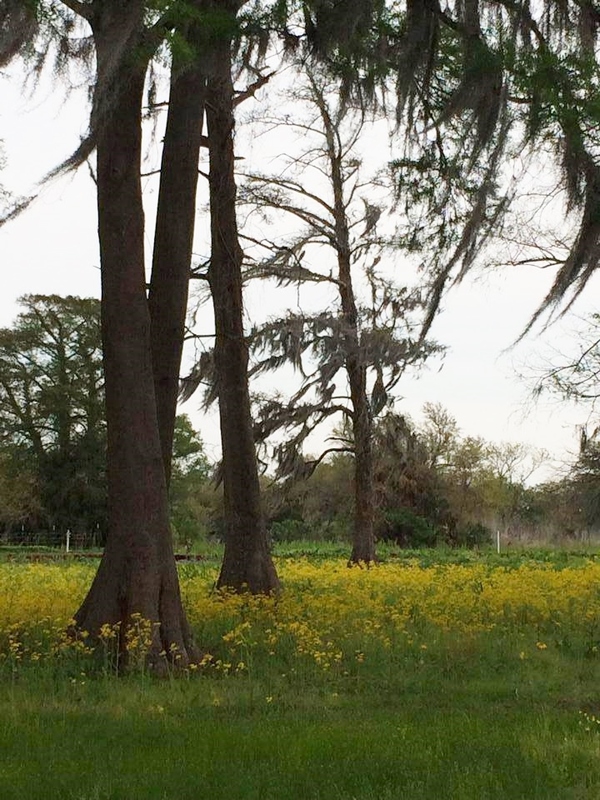 It's full on spring-time at New Orleans City Park! 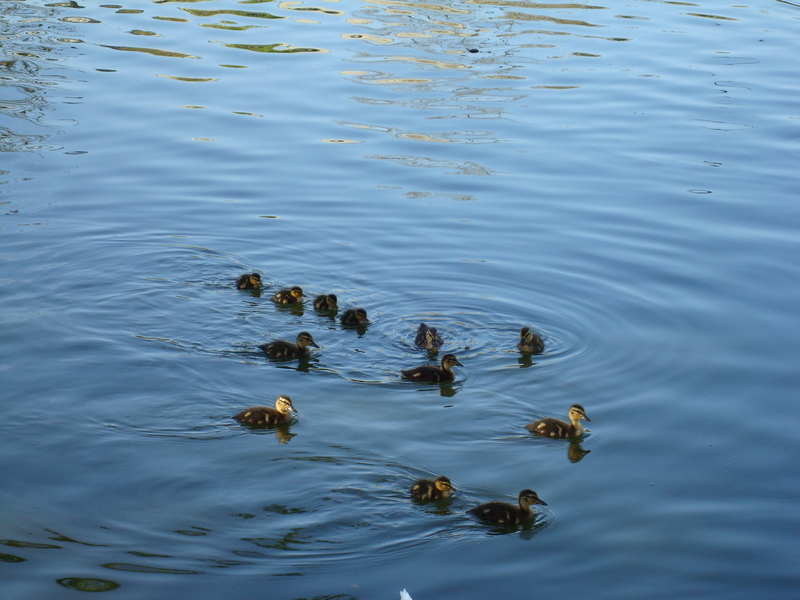 We're seeing new buds on the trees and ducklings on the lagoons. Take a break from everything you have 'going on' and come recharge at the Park. We're here waiting on you...and so are the ducklings! Today is the International Day of Happiness! We ask you: What in City Park makes YOU HAPPY? Each morning is different in City Park. Some mornings bring sunbeams through the trees and others crepe myrtle flowers gathering at your feet. Whether there's frost, fog, lots of clouds, or lots of sun - in those differences is true beauty. Each day has its own feeling. We invite you to visit soon. There's no time like the present. Volunteering - even in the rain! New Orleans City Park is so blessed to have so many wonderful volunteers! But a great urban Park doesn't run itself. Our volunteers are essential to the day-to-day operation of City Park. When you volunteer your time as an individual or as part of a group, it is one of the most valuable contributions you can make to City Park, and you are building a better, stronger park for all of our visitors to enjoy. 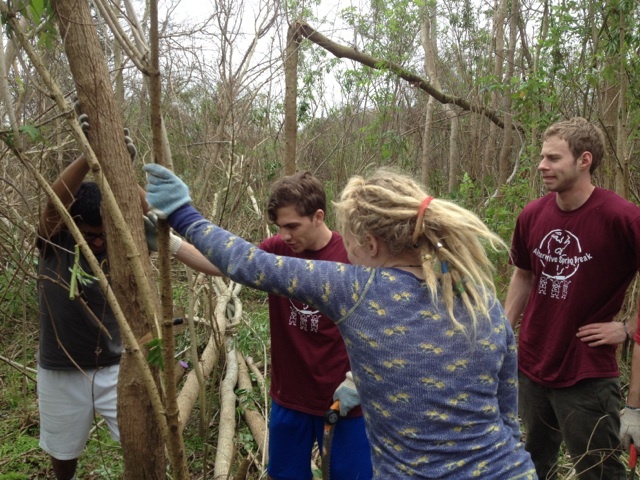 These are volunteers from Virginia Commonwealth University. They are in New Orleans volunteering for 4 days. Thanks so much! 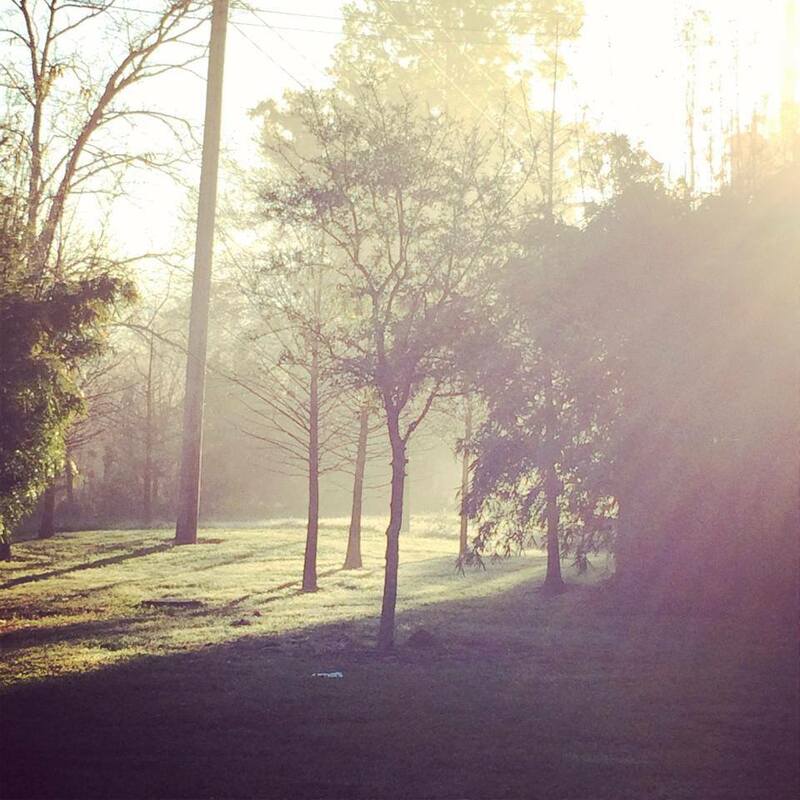 Couturie Forest is the perfect place to escape from the city without ever leaving New Orleans! Combined with Scout Island, the 60-acre Couturie Forest, in New Orleans City Park, is a nature-lover’s haven filled with native trees, scenic waterways, and fascinating wildlife — all in the heart of the New Orleans. The forest is a great place to wander with your kids, family, and friends. An afternoon along the trails is more than just exciting – it’s an easy way to work in some exercise and learn a thing or two about the park’s rich, natural landscape. 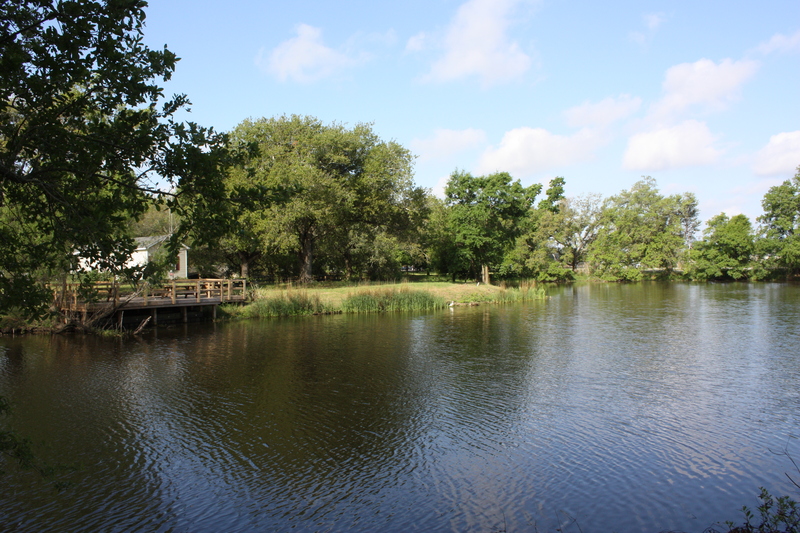 Expect to see countless varieties of trees, fish, and birds along the trails and beautiful waterways. Couturie Forrest was named New Orleans’ top bird-watching destination, and it’s not uncommon for birders to see 40 species or more in a single outing. Couturie Forest is made up of eight distinct ecosystems and is home to New Orleans’ highest point of elevation: Laborde Mountain. Measuring a daunting 43 feet above sea level, oxygen and sherpas are available upon request. After Hurricane Katrina, Couturie Forest became a laboratory for the rebirth of a forest. The more often you visit, the more you’ll see the gradual, natural revitalization taking place, including the restoration of a tree canopy, the eradication of invasive species, and the growth process of thousands of new saplings. And remember: the magic of Couturie Forest wouldn't be possible without the support and work of volunteers. Email esires@nocp.org or call Earl at (504)300-6394 to sign up to volunteer. 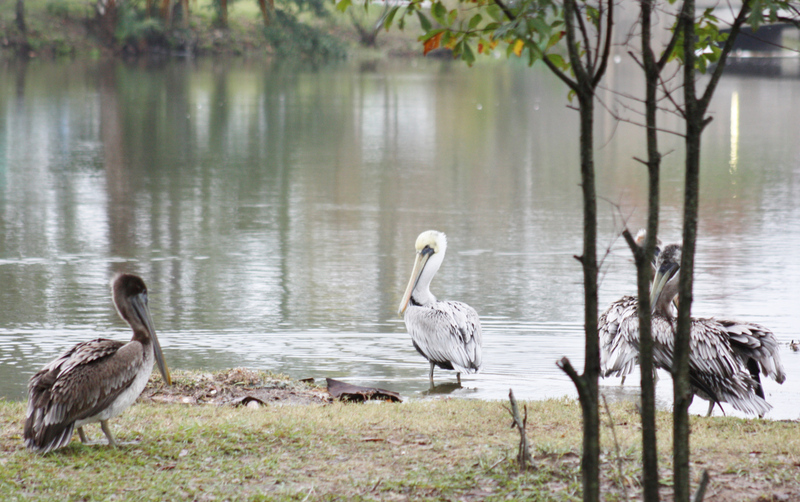 You know we at City Park LOVE our Brown Pelicans!